Isn’t cooperation wonderful? We did a guest post, Running Around The World, for the lifestyle and fitness website, Mung Beans and Champagne. 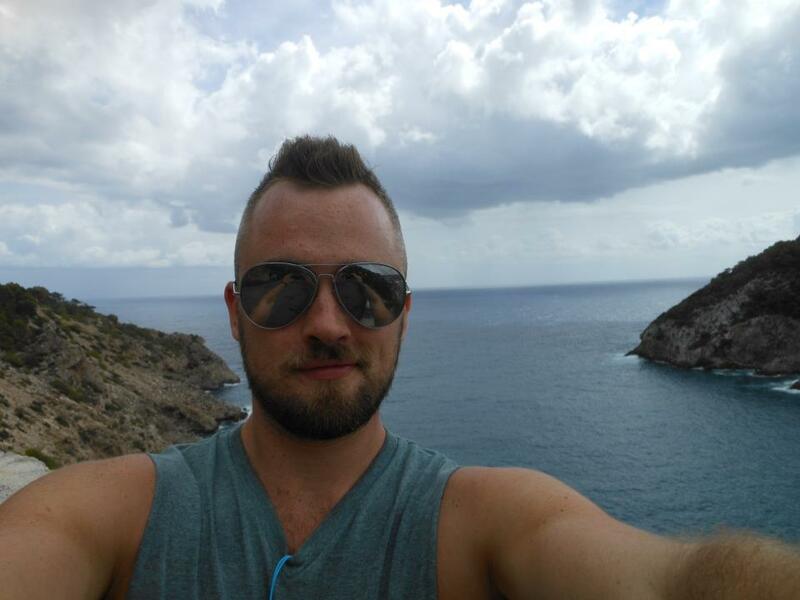 Now lovely (and lucky) Ryan who runs the site has written this great one for us about running near his home in beautiful Ibiza. When most people think of exerting themselves in Ibiza, it usually involves nightclubs and crawling home as the sun comes up. But there is a whole other side to the island that is rarely seen by tourists and I think that’s a shame. Last year, I moved to Ibiza from West London and as with any move, it took a little while to adjust and get used to it. One of the things I found most helpful was running. I have always been a runner – for me it’s a form of meditation, a time when my brain switches off and I seem to think clearly. If you are tired of the treadmill and want to try something new or are heading to Ibiza and want to make the most of it, then make sure you pack your running shoes. With breathtaking views, lots of space and clean air, the island is any runner’s dream. 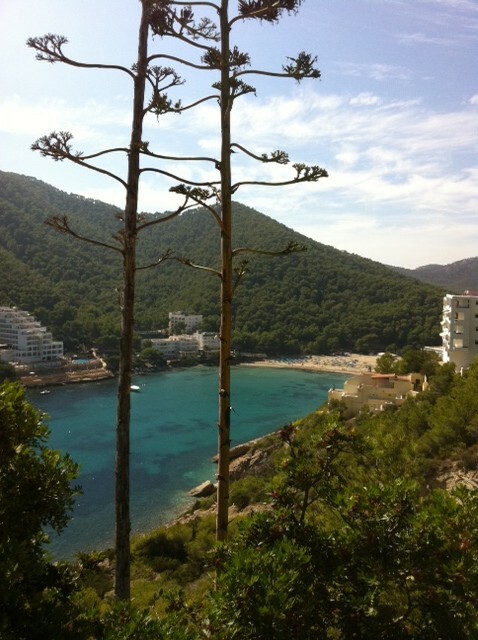 I do most of my running around Cala Llonga where I live, but its nice to mix it up and take different routes. It’s nice to run along the old roads, on the beach or sometimes just around the town. The scenery can be breathtaking so take some time to plan runs in different areas. 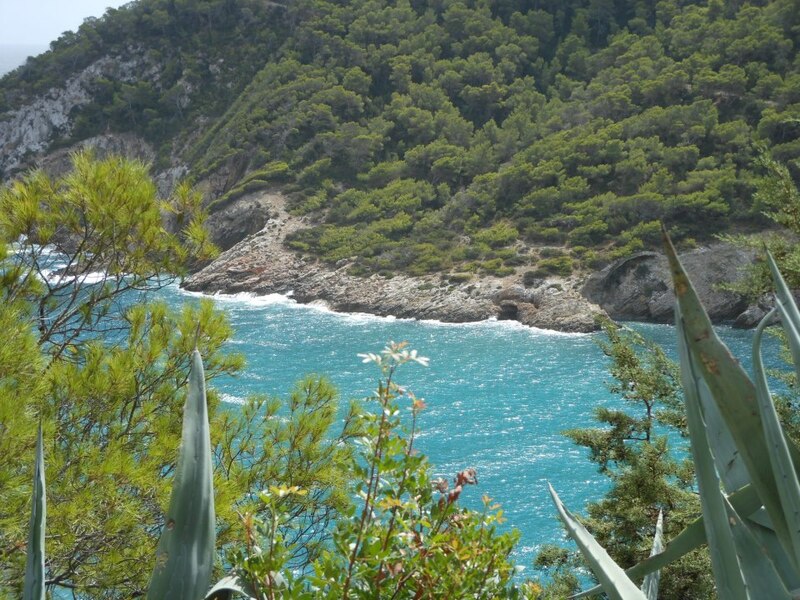 Santa Eularia, for example, has a beautiful running track along the beach. There is a circuit in Ibiza town along the water front as well. Not the first thing you would think about bringing with you when you go off for a run but its worth it because of the beautiful scenery, especially if you go for your jog around sunset. Again, last thing you would think about being mentioned in a piece about running but I found that I got some of my best ideas during a run. Having a notebook to hand as soon as I got back to jot my ideas down has proved useful. If you can, try and go to Ibiza during the quieter times of year, as that is when you can actually enjoy things more. The crowds are gone and you tend to find a lot of like minded people. During the summer the island gets very hot. When I first moved here I made the mistake of not taking water with me on a long run and was pretty far up the tracks when I realized my mistake. Needless to say I did not feel very well when I got back and didn’t make the same mistake again (Tip: use electrolyte drinks instead of just plain water). Interesting post. I moved to Cyprus last summer, and started the NHS Couch to 5k programme in January. We also live in wonderful scenery, although being 600 metres up is a challenge. It’s getting hot here so I will try electrolyte drinks. As for ideas, I use mnemonics – good for the brain! So interesting to read about your experiences of running in Ibiza, Ryan. It’s a long way from Pimperne, eh?! I so agree about the meditative aspect of running – such valuable time to be alone with one’s thoughts and it certainly gets the old creativity going, too. Every summer I rent an apartment in Ibiza and I visit the island. I think it is a very good place for runners and I enjoy a lot training there. And, of couse, relaxing, sunbathing, shopping, etc. Hi Jane. Thinking of ibiza this year but want to do a lot of trail running. What are your thoughts on where to base ourselves? We will probably hire a scooter to get to different trail heads.